Hello, my name is Nick! 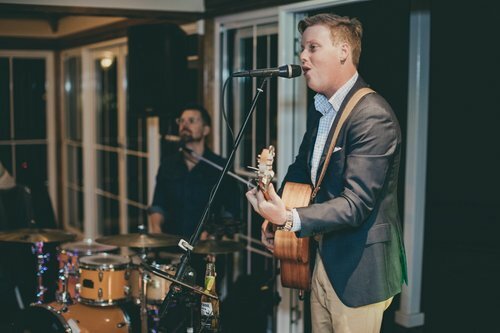 I’m an amateur golfer and beer lover who has the great privilege of playing music for you at your wedding. I’m a young guy who wants to help you celebrate an unforgettable, awesome wedding. I perform over 200+ gigs a year and am a very experienced professional musician. I love what I do, and I love that I get to sing and make people happy on their most special day. I’m based in Brisbanebut regularly travel to the Gold Coast, Byron Bay and Sunshine Coast for weddings. I regularly perform in popular venues in Brisbane, come and catch me at one of my upcoming gigs, let’s chat about your wedding. We specialise in full day entertainment packages, from ceremony, to canapés, to reception. Being able to deliver from a soloist to a grooving band, there is rarely a budget that cannot be catered for at your wedding. We can tailor any package to suit what you might be after. Feel free to head over to my websitewww.nickkoschel.comand send me an enquiry to find out more information.